Due July 28, the project reunites the rocker with producer Bob Ezrin and includes guest appearances by U2 drummer Larry Mullen Jr., ZZ Top's Billy Gibbons and Deep Purple bassist Roger Glover. 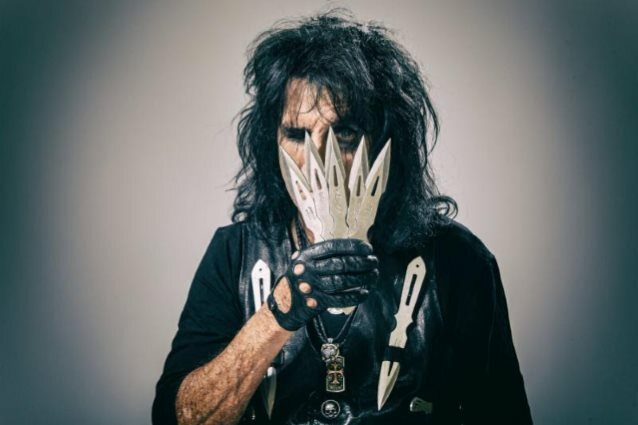 The package also includes a bonus disc consisting of six live tracks recorded last year in Columbus, OH with Cooper’s current touring lineup and two brand new songs written and recorded together with original Alice Cooper Band members Dennis Dunaway, drummer Neal Smith and guitarist Michael Bruce. "When the original band broke up in 1975, there was no bad blood," explains Cooper. "There were no lawsuits – we had just burned out the creative process. We had gone to high school together and had recorded something like five platinum albums in a row. We were never out of sight of each other for 10 years. “Everybody just went their own way. Neal, Dennis and I always stayed in touch. Mike disappeared for a while and Glen Buxton passed away in 1997, which was a big blow. "But last year,” he adds, “Neal called me up and said, 'I have a couple of songs.' I said, 'Great. Bring 'em over.' Then he said Mike was stopping by, so I had them come to my house and we just worked on a few things for a week. Then Dennis called up and said, 'I got a couple songs.' So, I thought, 'Hey, let's do this!' When you listen to record, it just fits right in." “Paranormal” will be available in a variety of packages, including standard CD, 2CD digipak, 2LP, a limited-edition box set and on digital formats. Currently playing shows across the US, Cooper will head to Europe in July for more dates before teaming up with Deep Purple for a late summer run across North America starting in Las Vegas, NV on August 12.